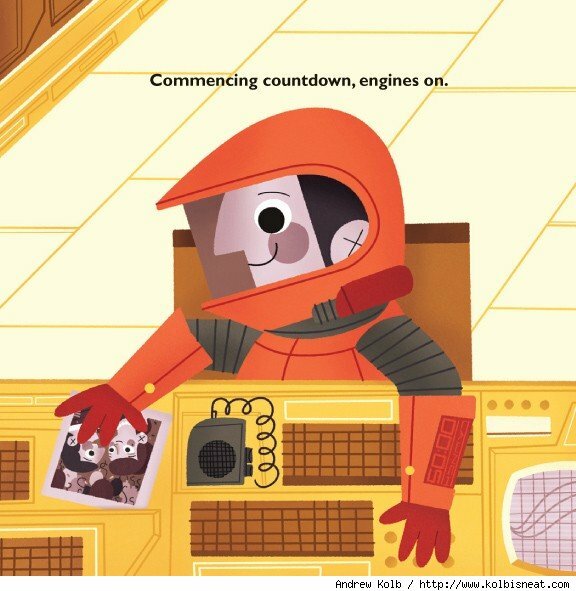 I saw this earlier on ComicsAlliance and thought it was such a lovely idea. 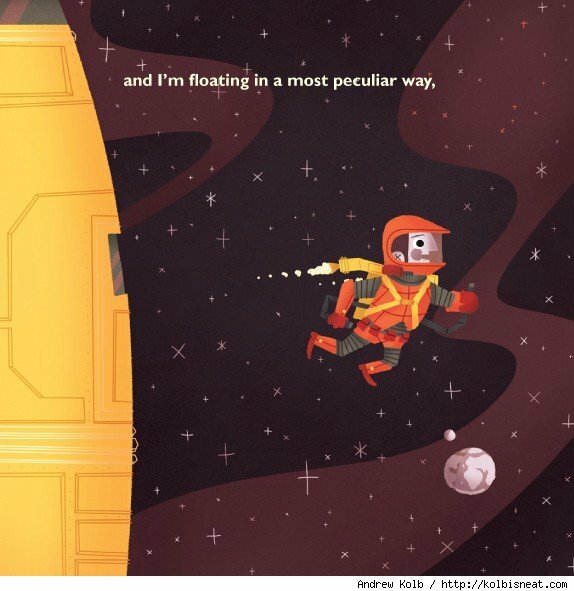 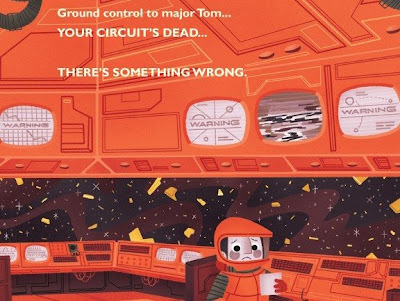 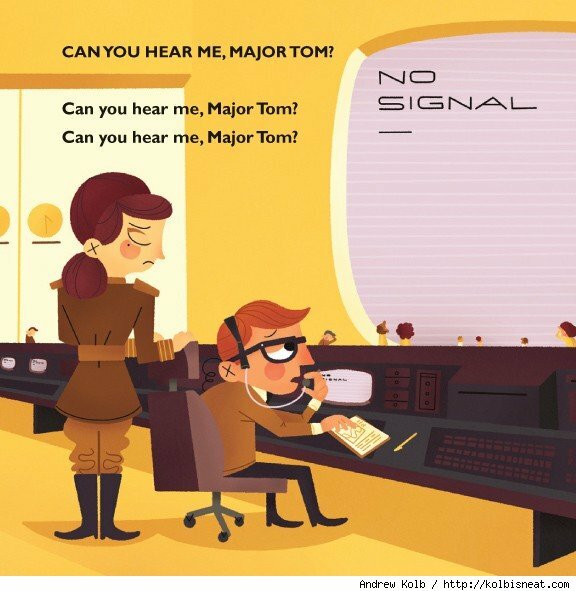 Andrew Kolb has produced the most beautifully illustrated children's book based on David Bowie's legendary 1969 hit about a fictional astronaut. What a perfect baby gift for the newborns of muso parents. I've included a few of the images but you can see more and read all about it here.